Amazing facts to know about Sicily by Tom Creus from his last visit to Sicily in December 2013 – published by listverse.com . Poltergeists - In 2004, strange events that would become known as “the fires of Canneto” frightened the population of the quiet village of Canneto di Caronia. It started with electrical appliances that caught fire spontaneously, for no apparent reason. Initially, most suspected faulty electrical lines, until appliances started to catch on fire that weren’t even plugged to the grid. Soon, non-electrical objects—such as armchairs and mattresses—also inexplicably caught fire. Even a van passing through the town was a victim of what many started to think were ghosts or evil spirits. The population panicked, and so did the authorities. The power grid was cut, the town was partially evacuated, and scientists from different parts of the world came to study the phenomenon, but no explanation was found. Some said it was related to the static electricity generated by the railway nearby, while others said that the fault lay with the Etna volcano and its magnetic field. Some even started to suspect secret tests by the American Army or UFOs. Months later, the events stopped as mysteriously as they had started, and Canneto became once again a quiet little town. As of yet, there is no definitive explanation to the occurrence. First described by Homer in The Odyssey, the two monsters were originally beautiful nymphs who were transformed into horrible forms. In The Metamorphoses, Ovid says that the sea god Glaucus fell in love with Scylla, but she was repulsed by his fish tail, so he went to the famous sorceress Circe and asked her for a love potion. Unfortunately for all involved, Circe was herself in love with Glaucus. In a fit of jealousy, she poisoned the waters and transformed Scylla into a monster with six heads, each having a very long neck, four eyes, and a mouth with three rows of teeth, which she would use to chew on unlucky sailors. Charybdis, according to other myths, was once a gluttonous woman who was punished by Zeus for stealing cattle from the gods. She was transformed into a monster and forced to swallow such huge amounts of water that she would immediately vomit, creating large whirlpools that would sink most ships. It is true that there are such currents in the strait of Messina, but no credible eye-witness accounts of any puke monsters as of yet. Richer Than The North Of Italy, Before the unification of Italy in 1861, Sicily was an independent kingdom. From 1814–1860, it joined the Kingdom of Naple to form the so-called Kingdom of the Two Sicilies, which comprised most of the current South of Italy. During this period, the Kingdom of the Two Sicilies was richer than all the other Italian kingdoms of the time in terms of revenues. According to the studies of Francesco Saverio Nitti, economist and later Prime Minister of Italy, the kingdom had 443.3 million golden lire. That was 65.7 percent of all the money circulating in the peninsula at the time, making it the richest among the Italian states. Its economy, however, was based mostly on agriculture, and it did not industrialize as fast as the north of Italy did. The unification of Italy was also disastrous for the region, after which it lost a large part of its relevance. Other events—such as the 1908 Messina earthquake, which killed 123,000 people, and the emigration of a large number of Sicilians to the Americas—ended up reducing the economical prospects of the South even further. Today, Sicily is an autonomous region, and while it is not the poorest part of Italy, it is far from being the richest. Everybody knows that Italians love opera. If size is an indication of love, then Sicilians love it most of all. 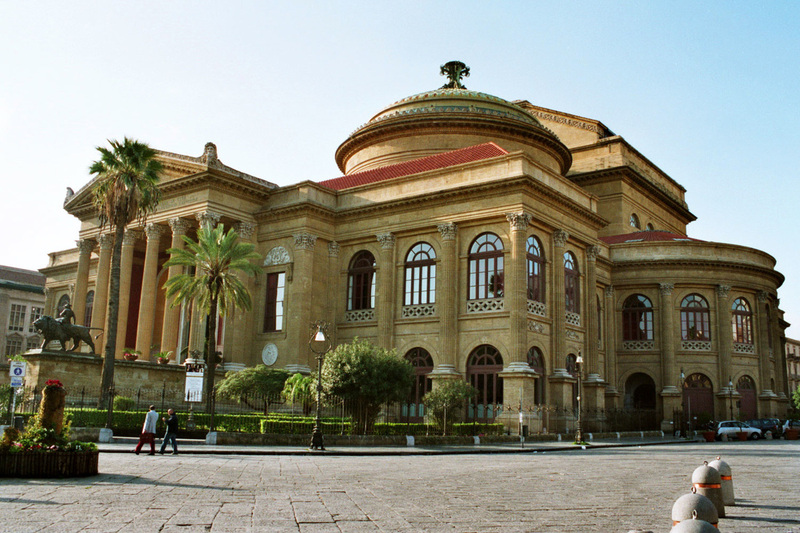 The largest theater and opera house in Italy, Teatro Massimo, was built in Palermo and inaugurated in 1897. Its full name is Teatro Massimo Vittorio Emanuele, because it was dedicated to King Victor Emanuel II. Construction took over 20 years, starting on 1874 and ending in 1897. The opera house was designed and overseen by Italian architect Giovan Battista Filippo Basile, who didn’t live to see the work completed. After his death in 1891, construction was continued by his son, Ernesto Basile. The Teatro Massimo can be seen in its full glory during the long opera scene at the end of Francis Ford Coppola’s The Godfather, Part Three. 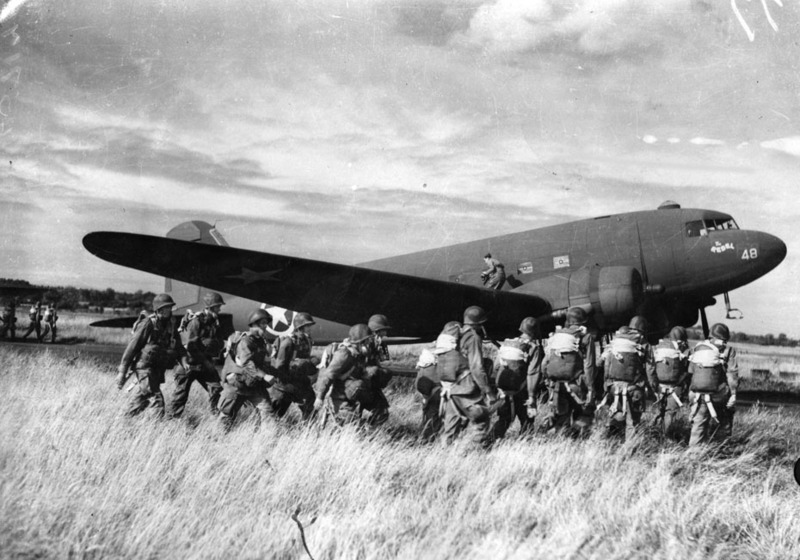 The Allied Invasion, While the Invasion of Normandy, or D-Day, is celebrated as the great turning point of World War II, it is also true that the invasion of Sicily by the Allies in 1943 was an earlier victory that began turning the tables on the Axis powers. Codenamed Operation Husky, the battle lasted for 38 days and culminated with a decisive victory for the invading Allied forces. Thanks to the occupation of Sicily, the Allies were able to control the Mediterranean sea, force the German soldiers to the North of France (where they would later be attacked on D-Day), and eventually complete the liberation of the European mainland. The success of the invasion also caused the fall of Benito Mussolini and the arrest of the dictator by King Vittorio Emanuele, although he was later released by German forces and reigned until 1945 in the limited Republic of Salò. It is said that Sicily was the least nationalist part of Italy at the time and that Sicilians did not fight for the Axis—they mostly helped the Allies to combat the German forces.